The 55th International Art Exhibition of the Venice Biennale will take place from 1 June – 24 November. The Culture Trip’s Venice Biennale Series is an article series leading up to the start of the exhibition. With 88 countries participating in this year’s Biennale — 10 of them for the first time — and 150 artists from 37 countries, their coverage over the next couple of months will highlight a selection of the National Pavilions that will be participating in the 2013 edition of the Venice Biennale. Here we are posting their coverage of the pan-Caribbean representations and artists. If you are interested in art we urge you to look at their entire coverage of the biennale. It is quite impressive. Their piece on the Cuban Pavilion was written by Danai Molocha. Fifteen established multi-disciplinary artists, from the Austrian Hermann Nitsch to the Cuban Magdalena Campos-Pons, bring a sense of anarchy to the 55th Venice Biennale. Gathering at the Cuban Pavilion under the title ‘The Perversion of Classics: The Anarchy of Narrations’, they each draw from their own radical creative past to give classic themes a rebellious translation. From the adventurous jazz of Neil Leonard to The School of Reis film techniques of Pedro Costa and the creative politics of Sandra Ramos, it is a well-established fact that the fifteen artists that will be gathering at the Cuban Pavilion in 2013 come with some serious credentials for presenting unconventional, thought-provoking art. 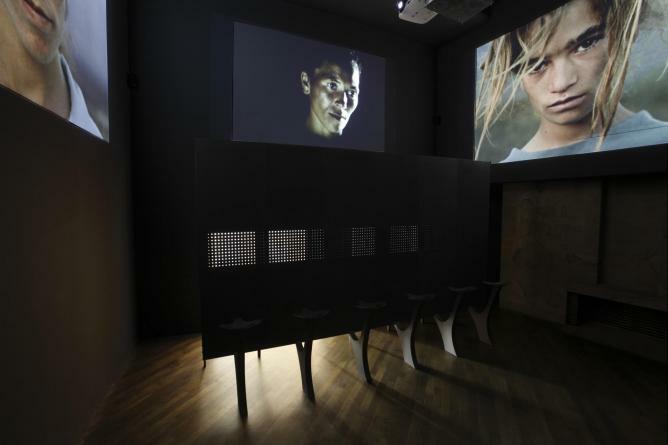 Curated by Jorge Fernandez Torres and Giacomo Zaza at the National Archaeology Museum of Venice – this year’s host of the pavilion – ‘La Perversión de lo clásico’ is meant, one way or another, to cause a stir, opening a dialogue between Cuba and the world, the artistic present, the future and the past. The Cuban-born Campos-Pons (b. 1959) is an interdisciplinary artist expressing her inspired cultural activism through painting, photography and installation. Having moved to the U.S. in the late ‘80s , where she currently teaches at Boston’s School of the Museum of Fine Arts, she has been exploring the idea of fragmented identity. The past and the present, her African roots, her Cuban upbringing and her professional career in the States all translated into work that explores the heterogeneous pieces and dynamics that unite in a human being. Her husband, composer, saxophonist and Berklee College teacher Neil Leonard, later started enveloping her visual projects with inventive soundworks, which first brought them to Venice for the 49th Biennale. The multimedia project 53+1=54+1=55/Letter of the Year, for the 55th Biennale, revolves around a metaphorical structure of bird cages, used by both emperors and common men to capture beauty and to dream of freedom. The husband-and-wife duo Liudmila Velasco (b. 1969) and Nelson Ramírez de Arellano Conde (b. 1969), were born in Moscow and Berlin respectively, but they have united their artistic vision in Havana, where they have been living and working for several years. Focusing on highly conceptual contemporary photography, their most recent projects include Hotel Avana, an aesthetically and psychologically intense photo-collage that cleverly superimposed the city’s past and future. Closely linking them to the Biennale theme, their most recognisable Absolut Revolution series was an ironic wordplay between the top-end Absolut Vodka and the Cuban revolution. Sandra Ramos Inventing, through video, installation, painting or printmaking, a global language that puts across a radical commentary on racism, migration, inequality and other lesser known aspects of Cuban life, Ramos has reached an international audience. In all her works, there’s an ongoing dialogue between the personal and the collective. The painted suitcases, that she created in the ‘90s, carried in them the dreams, illusions and deceptions of the Cuban immigrants, while the work-in-progress Bridging (2009-2013), established communication channels between countries with a history of conflict and migration, like Cuba and the U.S., or China and Japan. Her 2013 Venice project is called Stamen and is a collection of videos and installations that deal with the concept of uncertainty in the modern world, discussing the arbitrariness of thoughts, images and perceptions. Lázaro Saavedra Initially focusing on installations, in the 1990s, Saaverda (b. 1964) gradually added new means to his artistic work to reflect the progression of time. Not really caring about the form his art will eventually take, he works from the inside to the outside, focusing on the best way to express an idea – whether that is digital animation or an ink drawing. A conceptual provocateur par excellence, he has produced work like his famous Detector de ideologías (Ideology Detector), a machine that measures a person’s ideological acceptability. For the exhibition Sponsor, he painted his sponsors logos in oil on canvas, making high art of something trivial, while providing, in parallel, a strong commentary on the commercialisation of conceptual art. Tonel An artist and intellectual currently living in Vancouver, but who retains a strong Cuban identity, Antonio Eligio Fernandez (b. 1958) has produced four decades of work, evolving from caricature and illustration to three-dimensional art, steeped in metaphors and symbolism. Unmistakably real, everyday issues like neoliberalism and the financial crisis creep into his work (Borroso series , 2009-2012). Inspired by life more than theory, his hands-on, experiential attitude extends to the use of materials. Glenda León The Havana-born León (b. 1976) has been active between her hometown and Madrid, using all means – from drawing to video art and public intervention – to explore the visible and the invisible, sound and silence, the ephemeral and the eternal. In the artist’s own words, ‘I believe in art that acts as a reminder of a state of harmony, a state of complete listening that humans have gradually lost’. For her Venice project, the sound installation Music of Spheres, León was philosophically inspired by Pythagoras’ theorem The Harmony of Spheres, where celestial bodies were mathematically organized and moved in a sort of musical harmony that was not audible by the human ear. Gilberto Zorio An Arte Povera pioneer, sculptor, conceptual and performance artist Zorio (b. 1944) has been preoccupied with energy and alchemical transformation since the late ‘60s – when he participated in some of the first exhibitions of the movement in Italy. Recurring forms, like incandescent light tubes, the star, the javelin, or the canoe, are used to express his fascination with natural phenomena, as well as the concepts of tension, instability and going forward. He added some linguistic preoccupations in the series Per Purificare Le Parole, an interactive work that filtered and purified the spectator’s voice through alcohol – an alchemical reaction which disinfects, but also modifies perception. Wang Du Born in Wuhan, China (b. 1956) but currently working in Paris, Du, in life, as in his work, is split between the East and the West – often expressing the cultural gap through his sculptures. From working in mines, as a teenager, to producing propaganda during China’s Cultural Revolution and spending some time in prison, for speaking against corruption, he found his true artistic lingo in Paris, where he started creating his gender and form-defying human oddities. Creatively and spectacularly commenting on the current role of the mass media, he produced ironic large-scale work that most effectively brought attention to the fact that, in today’s world, the media’s overblown reality puts the actual truth to shame. H.H. Lim A conceptual artist that will turn his hand to anything in order to effectuate his vision – be it sculpture, video, painting, installation or performance – Lim (b. 1954) shapes his sarcastic comments into elegant materials and forms. A Malaysian of Chinese roots, living in Rome ever since he finished his studies at the Academy of Fine Art, he often lets his Eastern heritage and philosophy shine through his projects. Keen to contradict real objects with our individual perception of them, he explores the multiple use of symbols in consumerism. One of Portugal’s most prominent directors, Pedro Costa has been creating films for over two decades, but he gained wider acclaimed when the brutal realism of In Vanda’s Room (2000) won him the Foreign Cineaste of the Year Award in Cannes. Largely focusing on immigrants and life in Lisbon’s slums, Costa’s documentary-like, harsh and understated filming continues the legacy of his compatriot António Reis. 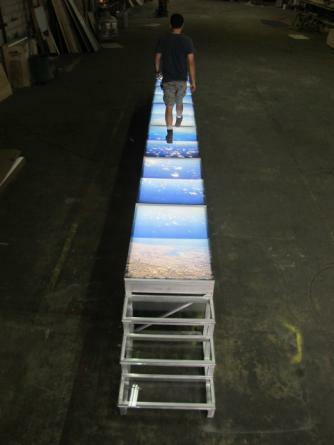 Together with sculptor Rui Chafes, also exhibiting this year at the Cuban Pavilion, they have presented FORA!/OUT! (2005), which alternated the view of four films and six sculptures, and then, again, MU (2007) – a collection of five sculptures and five film installations that sat next to one another, speaking two different languages, one static, and one in motion. This year the two artists will be presenting separate pieces, but no further details concerning Costa’s work have yet been released. Rui Chafes Sculptor Rui Chafes, another of Portugal’s world renowned artists, creates work that is often dark in colour, with iron as his material of choice. 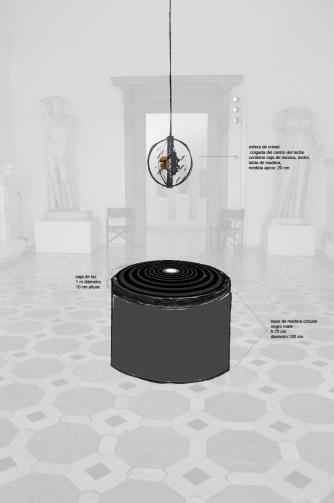 Having, in the past, exhibited his work in several international art festivals, including the Venice and Sao Paulo Biennials, he will be returning this year with a collection of works, among which the steel construction Perfume (vertiginous and obscure) V.
Francesca Leone Daughter of the Spaghetti Western master Sergio Leone and a prima ballerina of Rome’s Teatro dell’Opera, Leone first studied Scenography Design, before dedicating herself entirely to painting. Her father’s influence can be seen in her portrait of renowned Italian maestro Ennio Morricone (his soundtracks for Leone are cult classics), which won her the coveted Mc Kim Medal award from the American Academy in Rome. Her portraits have also focused on true heroes like Ghandi and Martin Luther King, which she executed in passionate expressionist, dark and abstract strokes, fiercely and unmistakably emitting a powerful emotional clarity. Hermann Nitsch Viennese Actionist extraordinaire, performance artist and experimentalist Nitsch (b. 1938) has been exploring the theme of controlled violence, exhibiting a skinned and mutilated lamb in the ‘60s, to his later abstract Splatter Paintings. He has been staging reality in his eloquent Theatre of Orgies and Mysteries (Orgien Mysterien Theater) since the ‘50s, aiming to capture all five senses of his audience by provoking them to participate in his equally disturbing and intoxicating rituals. Using pain and horror as catharsis, Nitsch managed, through the years, to be successful enough to be invited to direct Herodiade at the Vienna State Opera. 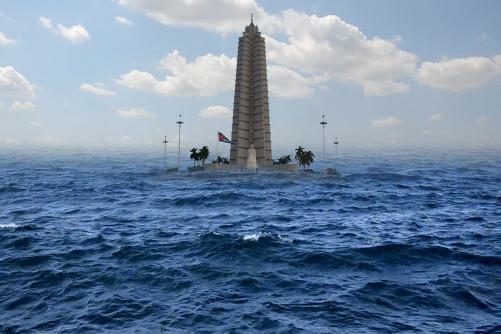 Cuba team Artists: Liudmila and Nelson, Magdalena Campos Pons and Neil Leonard, Sandra Ramos, Glenda Leon, Lazaro Saavedra, Tonel, Hermann Nitsch, Gilberto Zorio, Wang Du, H.H.Lim, Pedro Costa, Rui Chafes, Francesca Leone Commissioner: Miria Vicini. Curators: Jorge Fernandez Torres, Giacomo Zaza. Venue: Museo Archeologico Nazionale di Venezia, Palazzo Reale, Piazza San Marco 17.